Homebrewing in BC is catching on like wildfire! Recently, the Tri-Cities Cask Festival group held its Winter Pro-Am, which was a competition between amateur and pro brewers. 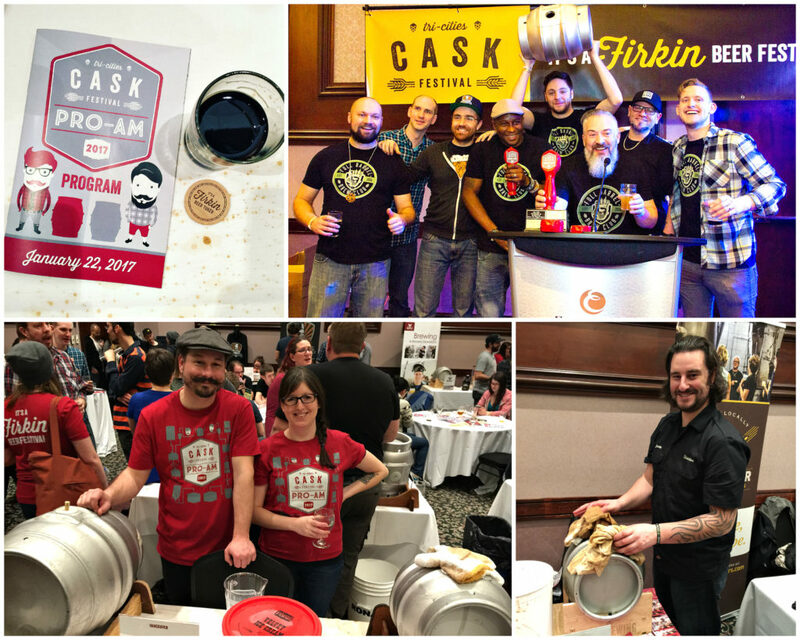 The sold-out event hosted 570 guests at the Coquitlam Executive Plaza and craft beer fans came from all over to sample casks on offer from 35 breweries and 11 homebrew clubs. Full Barrel Brew Club from Langley took the prize for Best Amateur and Fuggles & Warlock Craftworks (which coincidently was started by homebrewers) won Best Pro and Best of Show. The success of the Pro-Am event demonstrates that there’s a dozen or more homebrew clubs from all over BC with amateur brewers perfecting their skills. Some are brewing simply for the love of it, and some are aspiring to make the leap to pro brewer. These are exciting times! I’m going to shine the spotlight on Boombox Brewing, which just won the RateBeer award for 2016 Best New Brewer, BC. Boombox started in July 2016 as one of four breweries operating out of Callister Brewing in Vancouver’s Yeast Van. 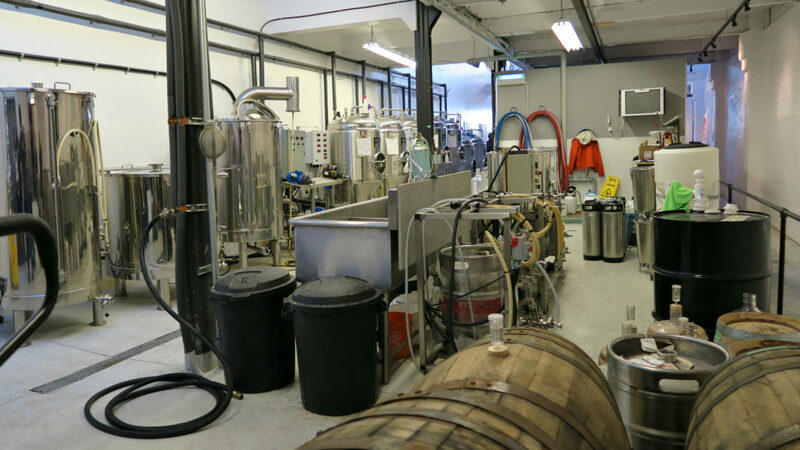 Callister operates as Canada’s first co-working brewery incubator to support new independent brewers to grow their business. 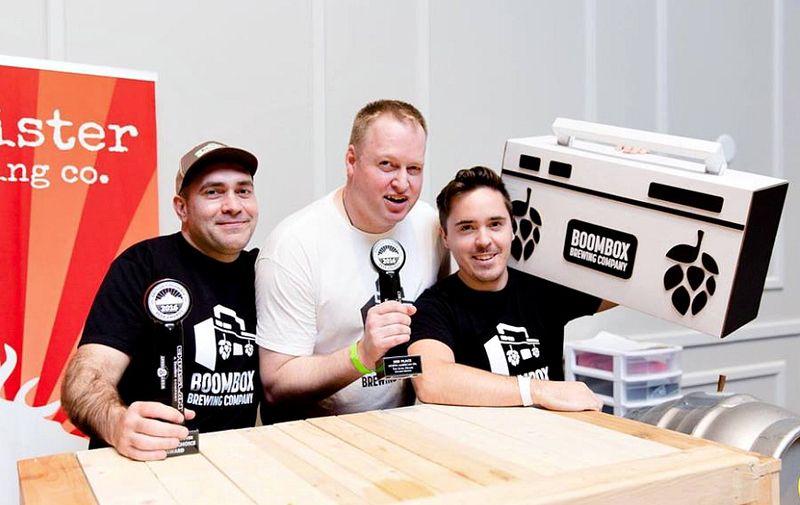 I caught up with Kent Courtice of Boombox Brewing to get more insight into his own evolution from VanBrewer homebrewer to pro brewer. Kent was a homebrewer for about six years before starting up Boombox Brewing with his wife Erin and fellow homebrewers Ryan Seller and Phil Spurgeon. How did being a homebrewer prepare you for starting Boombox? What did it not prepare you for? Any surprises? Did you win any awards as a homebrewer? If so, name the one you’re most proud of. Boombox has already won a few awards too. Which ones? Phil, Kent and Ryan at the 2016 BC Beer Awards. Your fave style of beer to brew? Your prediction for the next beer trend? “There definitely is a huge upswing in demand for the Northeast style of IPAs. I think that will continue to increase in popularity. They are a more approachable version of IPA with a softer mouth feel, lower bitterness and massive citrus flavours so it is appealing to a broader market than a ‘traditional’ West Coast IPA. Superflux Colour & Shape is world-class as is Steamworks Flagship IPA. The one to see if it will stick around is the Milkshake IPA. There are some really fun local examples of the style like Two Straws from our friends at Twin Sails Brewing and Shake Yo Fruity by R & B Brewing. Any advice to homebrewers hoping to make the leap to pro brewer? Boombox’s beers on offer at Callister Brewing are ever-changing and diverse. 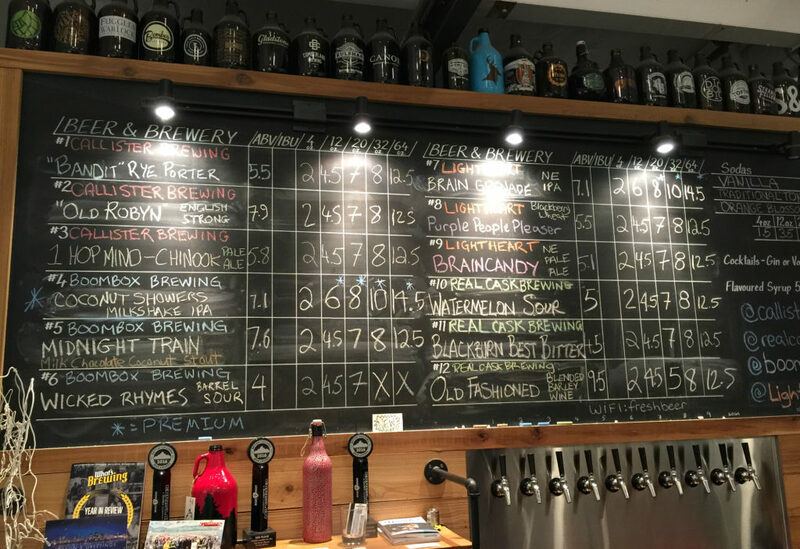 Check the brewery’s website for up-to-date information on its latest beers, what’s on deck and where to find them on tap in and around Vancouver. 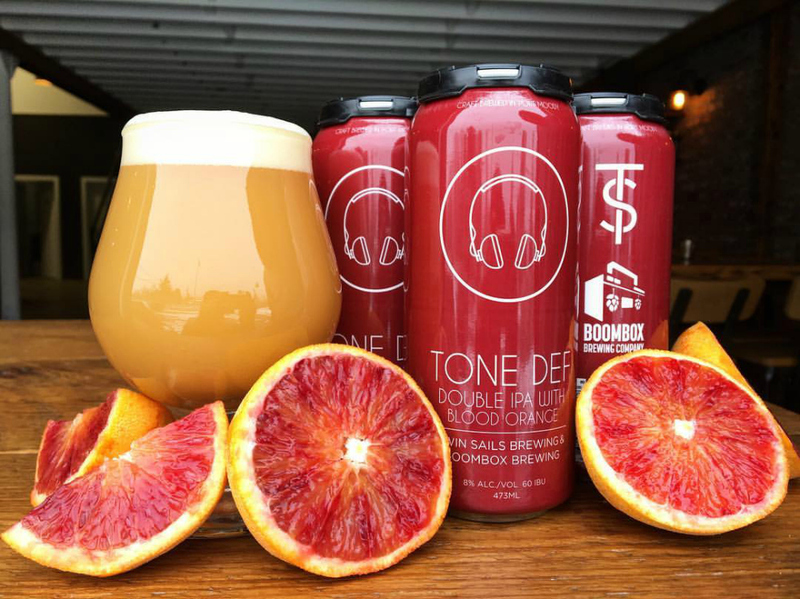 This past weekend was the launch of Boombox’s collaboration with Twin Sails Brewing called Tone Def Blood Orange DIPA. Since Twin Sails distributes outside of Vancouver, this will allow people elsewhere in BC to get a taste of what Boombox is up to. On a last note, the Tri-Cities Cask Festival folks have another unique festival coming up on April 22nd. Siris Cask Fest – Celebrating the Women of Craft Beer. Tickets are on sale now. For more information on getting involved in homebrewing, visit your local homebrew supply store or look for a homebrewing network in your area, such as VanBrewers or BrewVic.